I can’t believe I’m actually telling you this. I went somewhere this weekend and it was completely embarrassing. Here, let me give you a hint: said location is plastered with pink and purple and glittery things, smells like a combination of plastic and cherry chapstick, and is running rampant with tweens. You’d be correct. I need a drink, I feel so ashamed. Let me rewind to tell you exactly why I had to step foot into my former store of bejewelled choice. Sometime during the week, the screw ball of my belly button ring came out. Since I’m no where NEAR mature enough to actually take it out and leave it out, I freaked that I needed a replacement ASAP. You’d think I’d be able to find a replacement in one of the bajillions of kiosks in the malls, but NOPE there were none. So I was fated to be a Claire’s customer yet again. I had to elbow quite a few little 4-footers (girls ranging from 8-12 years old) to find the spinny display of ‘alternative’ jewelry. (Which is odd because no girls in that age range should be checking out jewelry for belly buttons or eyebrows or tongues or anything of that sort). Anyhoo, I ended up having to call one of the associates over to actually unlock the case so I could buy a glorious 6-pack of belly button rings. First gripe with that situation is the fact that they actually lock up really cheap jewelry. Second gripe is that my lovely assorted package even came with a zebra/glittery ring. Not sure when that would ever get use. I guess I can be optimistic about the whole situation and not feel as embarrassed as Tyler must have been since he was with me. Can I get a slow clap for my first ever real giveaway?!! 1. Check out additional info on all the flavors of bars here, then leave a comment on which flavor you’d choose. *how to get the link to your tweet from your computer: once you send the tweet, scroll over the time in the upper right hand corner and click. Then copy and paste the URL. you’re welcome for the awesome example. Giveaway is open until Friday, November 29th at noon (PST) and open to US and CANADIAN residents! Good luck!!! I love the cocoa coconut ones. Would love to try the espresso ones!! I like your Facebook page! And woud tweet if I had twitter….but no. Probably the cocoa coconut or espresso ones… They all look delicious! I think I’d have to go apple strawberry…. and I feel your pain, I had to go into claires a while back, we were looking for matching striped tights for a dance costumes, boy did I feel old! The banana almond ones sound really good. I tweeted also. I hope I did it right. I don’t use Twitter much. I’d love to try the coconut cocoa! The apple strawberry sounds awesome! These bars look awesome! I’d definitely eat ’em. I already like your FB page & we stalk each other on Twitter. I’d choose the Cocoa Espresso ones. I think i have Lohan’s luck on my side! I would like the coconut cocoa – it sounds like a winning combination! Coconut Cocoa sounds amazing!! I love that they come in 3 pieces… i never eat a granola bar all at once. My favorite candy bar is Mounds so that Cocoa Coconut looks good. My favorite candy bar is Mounds so the Cocoa Coconut look good. I also ‘like’ you on facebook! I would choose the cocoa espresso! Hi! Congrats on your first “real” giveaway. So exciting. Does choosing the variety box count as what flavor I would choose? I guess if I had to pick it would be coconut cocoa! I also like you on Facebook and even commented on the link to this post! 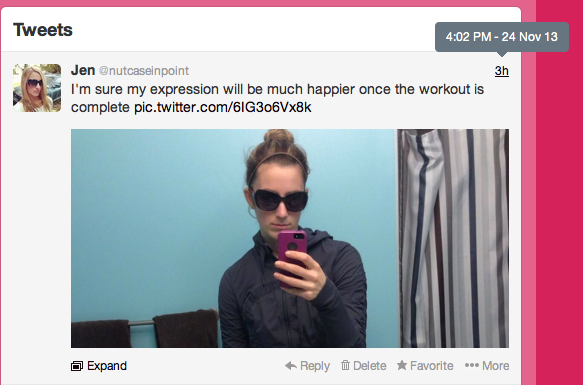 Oops, I think I tried to embed my tweet and did it wrong. Disregard if it comes through later somehow?